This angry bird cake is sure to spread a smile in the receiver’s life. If your friends or beloved ones love to play angry bird game then bring this delicious angry bird cake on their birthday to surprise them in a unique style. This sweet delicacy is baked using the best quality of ingredients by keeping in mind the health of your near and dear ones. 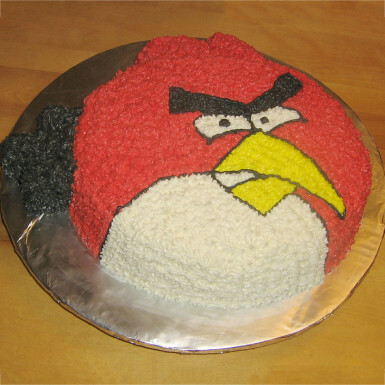 You can also buy eggless angry bird cake if your loved ones are pure vegans. This is a black forest flavor however it is also available in different flavors.